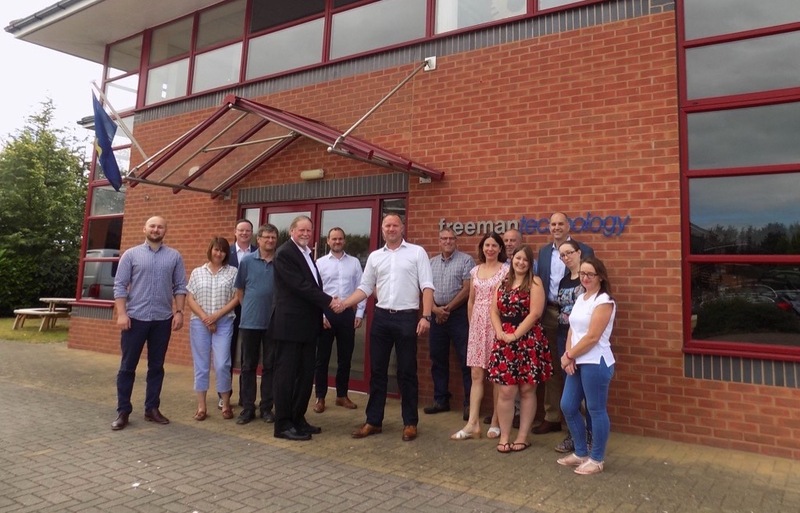 Sealing the deal with a handshake, Preston Hendrix, President of Micromeritics (left) and Tim Freeman, Managing Director of Freeman Technology (right), celebrate Micromeritics acquisition of the UK-based firm as key personnel from both firms look on. Two great companies serving the materials characterization needs of a wide variety of customers. Together they will be even greater.